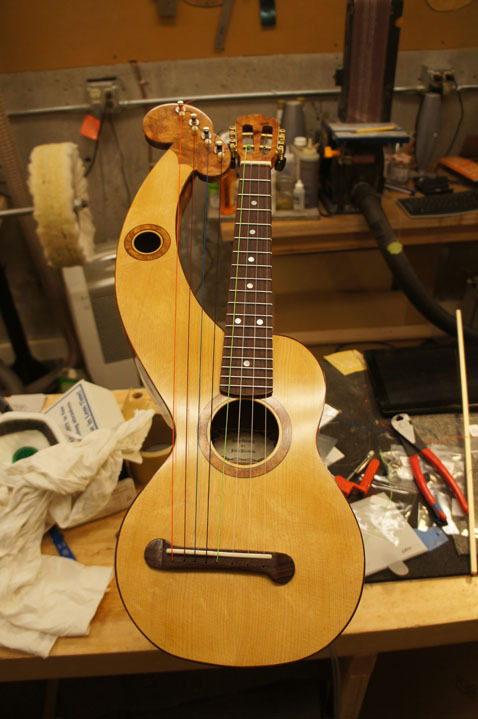 I was inspried to start this project afterreading Kathy Matsushita's build blog for a harp ukulele based on plans offered by Pete Howlett. While the result was very nice it was one of my more difficut projects. 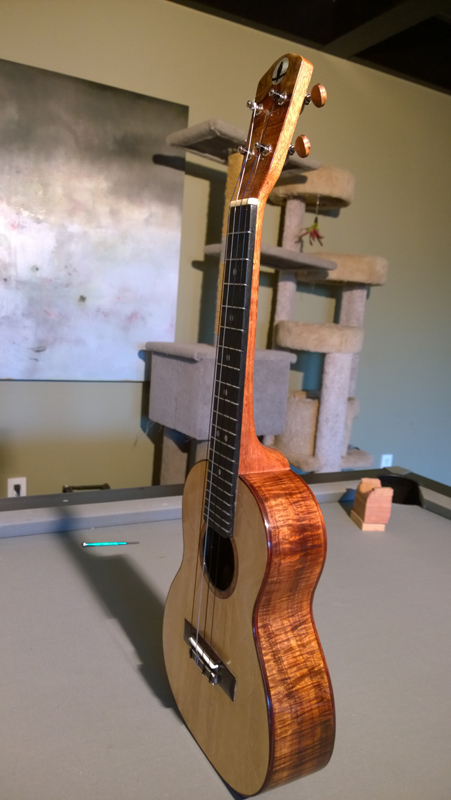 I made this ukulele for a very special freind living in Hawaii. She was part of a group of people that regularly got to gether to play. Very happy knowing it was being played. I bought a box of ukulele parts and sets from a luthier who decided to stop offering ukuleles. The price was right, and his description said that he had 10 nice ukulele sets. 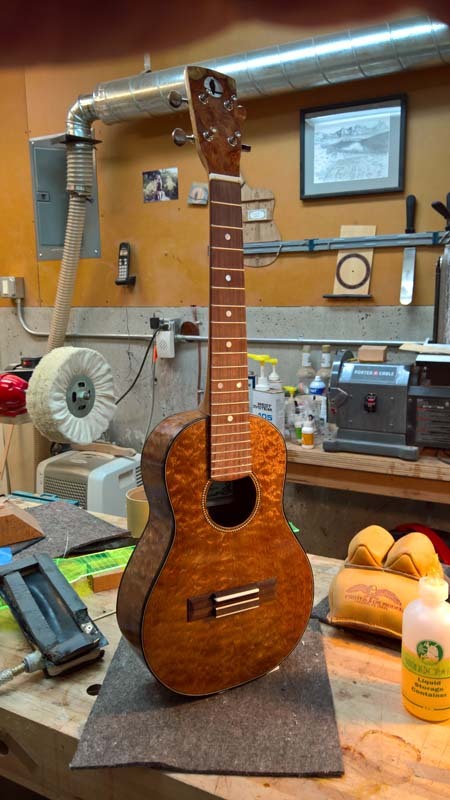 It turned out the quilted mahogany for this tenor ukulele would have worth the price of my grab bag box. 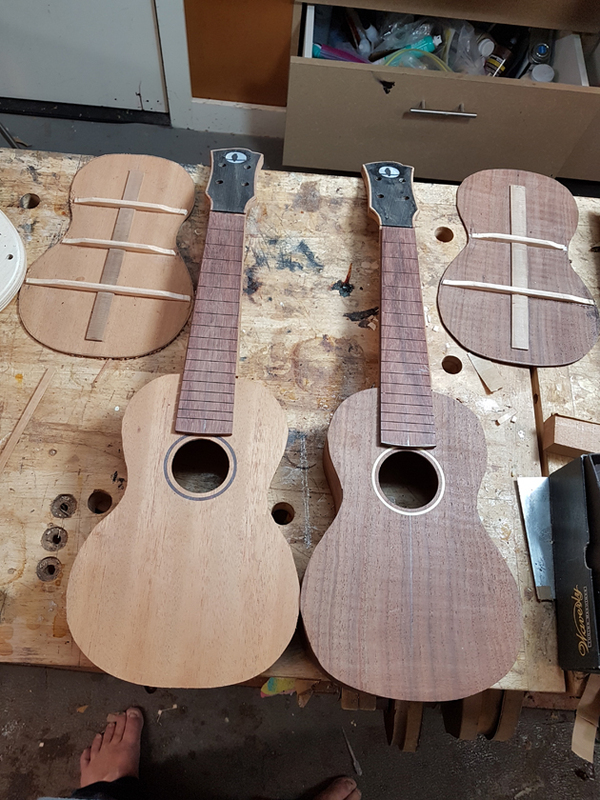 Building two soprano ukeleles for a couple of young twin girls in my neighborhood using parts from a box of ukulele parts and sets from a luthier who decided to stop offering ukuleles.